CEOs are justified in receiving their large salaries, says leadership coach Madeleine Homan Blanchard. Why shouldn’t CEOs get the big bucks? It isn’t just lonely at the top – it is terrifying. Any CEO who guided their company through this recession and is still viable and ready to launch back into a recovery deserves every penny of compensation. With Fortune 500 CEO salaries hitting high eight figures, there is much debate on whether the CEO of a company deserves a multimillion dollar salary, including stock and benefits. Madeleine Homan Blanchard, leadership coach to executives worldwide, says that the high salaries are justified. Homan says that from the outside, it may seem as if a CEO like Exxon’s Rex Tillerson or Mike Duke of Wal-Mart is getting paid millions of dollars “just” to run a company, but there is a price that executives pay for the privilege. Most work many hours – up to 70 or 80 a week – and suffer from the stress of the job. Blanchard has seen CEOs with severe anxiety and even depression as a result of their roles. In addition, the responsibility of the success of the company falls squarely on the shoulders of a CEO. In bad times (or with a Board that makes poor decisions), the blame is put on the CEO, whether he deserves it or not. Failing at company goals can cost him not only a job, but a career. The large salary is one way to counter this risk. Blanchard helps CEOs understand their strengths and how they can help their companies succeed – and earn that multi-million dollar salary. 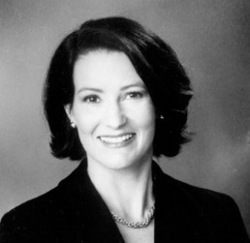 Madeleine Homan Blanchard is a leadership coach with 16 years of experience working with top executives worldwide. She, along with Scott Blanchard, founded Coaching.com, the first large-scale online interactive coaching application. The site was acquired by Ken Blanchard Companies, where Blanchard forged new frontiers in large scale coaching programs. For more information visit http://www.mhblanchard.com.